Follow this simple drill to warm up your driver in no time. Putt for dough and drive for show, right? Wrong. Blasting drives straight down the middle makes the game easy. And if you're lucky enough to split the fairway with the first tee shot of the day, the boost to your psyche will positively influence the other areas of your game, including the space between your ears. Grooving a reliable driver swing to carry you 18 holes is easy. It takes just five minutes and five balls. Make it the last step in your pre-round warm-up then go pound one past your pals. FIVE-BALL DRIVER WARM-UP Tee up five balls in a row, perpendicular to your target line as shown below. Set up to the first ball, keeping your rear end slightly out and your knees slightly bent (good posture dramatically increase your chances of sweet-spot contact). Check your ball position: Play it off your left big toe, which will allow you to catch the ball on a slight upswing (hello, power launch!). Now swing -- slowly. 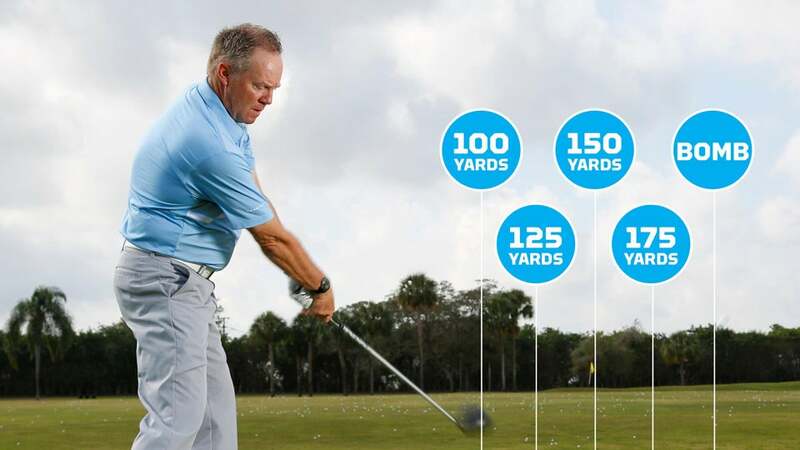 Your goal on the first tee shot is to knock the ball about 100 yards with a full motion. Hold your finish then address the next ball using the same posture and ball position as before. Swing a little faster -- try to hit this ball about 125 yards. Drive the next shot no more than 150 yards and the fourth ball no more than 175, gradually increasing tempo and speed. The last ball? Kill it. Rip it as hard and far as you can without losing your balance or posture. It'll be easy, since you've just trained your body to add speed without having to swing out of your spikes. When you hit the first tee, choose a tempo somewhere between the one you used for the last two swings. Your drive will find the fairway, and your round will be off and running. GOLF Top 100 Teacher Scott Munroe is the teaching professional at Nantucket (Mass.) Golf Club.